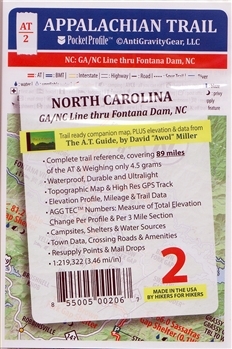 A convenient pocket size elevation profile and topo map for all 89 miles included in this first segment thru North Carolina. Complete trail reference, covering 89 miles. Topographic map and high resolution GPS track.